We can make glass tops for all your furniture needs. We can cut shapes, etch, and sandblast designs on them for you too. Need new glass for your kitchen cabinets? We have a large variety for you to choose from. Need glass shelves to hold all your collectibles, your dish ware or your alcohol bottles? We can help you with that. Need and insulated unit for your home or office we can help with that. Need new glass installed in your old wood frames? A sneeze guard in your restaurant? A glass hand railing system? A glass wall divider in your office? Glass boxes for your store? Glass counter tops? Chipped edge glass? 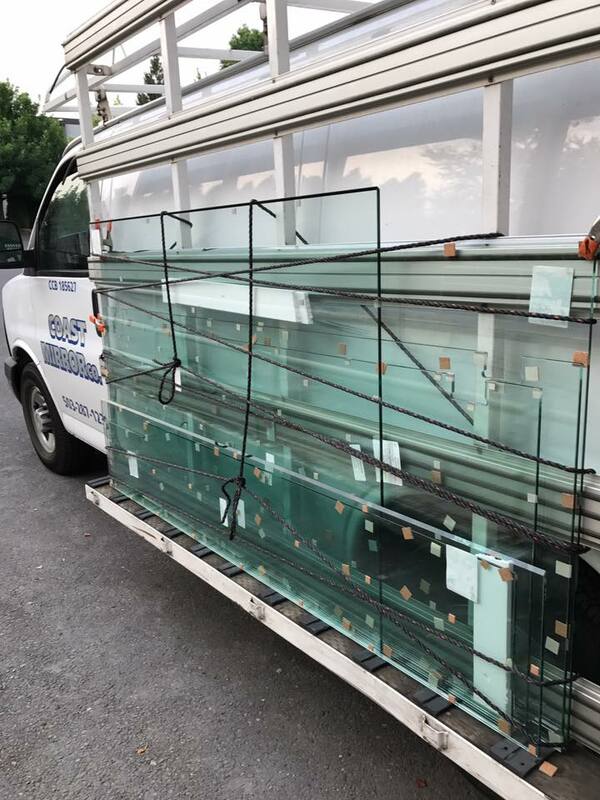 Diamond wire glass, laminated glass, tempered safety glass. Yes we do all that too and more! Need a mirror for your bathroom, closet door, entry way, above your fireplace? Need walls of mirrors for that home workout room? We can do all that and more. Have a certain shape, size you need it cut too? We can handle all that and more. We can cut holes and outlet holes into your mirror for you also. We have bronze and gray and gray 14 mirror available for your viewing pleasure. Glass shelving for your bar or kitchens. Partitions for every part of your house made of glass, frosted glass, or whatever you'd like! Whether it’s antique or new, traditional or modern, we have several options for you to choose from. Our antique mirrors are proudly made by us in our own shop! We can help you get curved glass for your hutches and china cabinets. We can even custom cut glass shelves for them. Need a custom piece of glass silvered or resilvered? Have a custom etched fixture that you've fallen in love with and has broken? We can reproduce custom etchings and bring new life to older mirrors. From glass, mirrors, showers, We can install the right stuff for your bathroom, kitchen or any other room in your home or office. We are a union shop and stand behind our work. We want you to be 100% happy with us. We have several framing options available for you to choose from. Have a glass jar or wine bottle you need cut down or made into a drinking glass? We can do that! Got a chandelier or glass fixture you need cut down or REPLICATED we can do that for you. Custom tables tops for any desks, tables, coffee tables, there's not much we can't put a piece of glass on! Any shape you could image. We install and repair shower doors. We will even install your door for you even if you do not buy it from us. We are partnered with Therma Glass and currently do all their installs.